It’s not a secret that fast food is bad for you. I don’t think I just blew your mind by writing that. I do, however, think that people believe that there’s nothing wrong with eating fast food in moderation. It really comes down to ignorance being blissful. I love the analogy that our bodies are like vehicles. You want the best fuel for your car, but do you always provide the right fuel for your body? The fast food industry gives that option to people, giving you regular when your gas-guzzler requires premium. The main reason fast food should be foods to avoid is an obvious one: it can lead to many health problems such as obesity, heart disease, and diabetes. Fast food consumption is probably one of the most common addictions that nobody talks about. The addiction leads to disease. People talk about the seriousness of alcohol and smoking addictions; however, how many fast food addiction help centers are there? It doesn’t appear to be a big concern because people have to eat. And, if there were public service announcements about how you should limit your fast food consumption, how do you think the big corporations would act? Let’s just say it’s not going to happen anytime soon. The solution is about making informed and healthier choices. 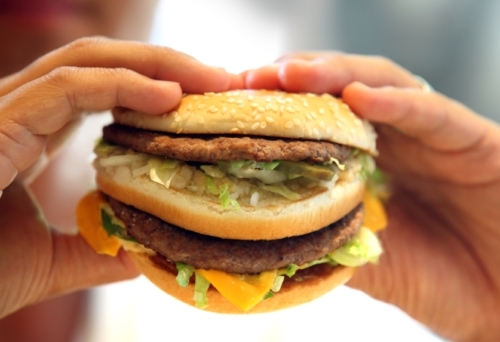 A lot of people realize that the Big Mac is causing health problems, but do they relate that mouth-watering meal to why they are angry at the world or are getting divorced? When you realize the role fast food plays on your health and on society, you may discontinue your daily or weekly trip to your favorite burger or pizza joint. Pretty much every nutritional expert will tell you not to eat any processed food, especially fast food. They don’t even consider it food, not even the so-called “healthier” options with fewer calories. For your body to function properly, it needs quality nutrients. There is very little fiber, vitamins, or minerals in your fast food, which means your digestion is instantly compromised. Fast foods should definitely be foods to avoid. They are highly processed, piled with refined sugar, salt, saturated fat, and hydrogenated fat. It’s also no secret that factory-farmed animal products and genetically modified foods are the fast food industry’s best friends. Have you ever wondered why you feel so calm and clear-minded, and other people are so angry at the world? The fast food industry plays a big part with this. Omega-3s are essential fatty acids that are beneficial for brain health. A fast food-oriented diet lacks these nutrients, one of the reasons fast foods are foods to avoid. Magnesium, tryptophan, and low glycemic foods are all essential for proper cognitive function. B vitamins such as folic acid (B9) will help prevent mental issues like paranoia and decreased memory. Eating too many carbohydrates such as hamburger buns, French fries, and pizza will affect your mood and may cause depression and anxiety. It makes sense then that people who regularly eat fast food are 51% more likely to become depressed, according to a study. Whenever you have a goal to accomplish, adding fast foods to your list of foods to avoid and eating plenty of real foods (fruits, vegetables, grains) will help you focus. A lot of people justify their fast food habit based on cost. “I want something cheap and easy,” they might say. The truth is the cost really adds up! Depending on the location, basic fast food meals can range between five and eight dollars. You could easily spend $15-$20 making a homemade meal, instead of spending $40-$50 on a family of four eating one fast food meal (another reason to add them to your list of foods to avoid). I believe nutrition education should be a priority from a young age. The impact of what you put into your body definitely should be drilled home in the classroom but it’s not. Whenever they are not at home, teenagers are free to eat what they want, and they might choose foods to avoid, like unhealthy fast food. Fast food options like greasy pizza and fatty burgers are even cafeteria options. A student’s grades are greatly affected by the foods they eat and they play a role in concentration and misbehavior. Taking an omega-3 and a multi-vitamin/mineral can help produce smart and goal-oriented students. The longer a kid or teenager continues their fast food habit, the more nutrient deficiencies they will obtain, and they will also be more prone to disease later in life. Your risk of disease increases when the majority of your diet is foods to avoid like fast food. Fat intake accounts for more than 40% of the American diet and fast food is high in fat. Also, weight gain and blood sugar spikes often go together, just as obesity and diabetes. You will crave certain fast foods at different points of the day when your blood sugar levels are too low, such as your coffee and donut in the morning or your triple fudge sundae for dessert. This is why all fast and convenience foods are foods to avoid. A healthy diet is the best way to protect against disease and balance your blood sugar levels with a significant amount of low glycemic index foods, such as salmon, tuna, avocado, broccoli, kale, and other dark green leafy vegetables. Eating at Mexican, Brazilian, or other Latin places that may offer healthy bean and rice dishes. 5 Fast Food Meals That Are Actually Healthy! What’s Really Inside Your Fast-Food Sandwich? Why Are Hot Dogs Bad for You?